CSIP is committed to working with our members, nonprofit and government partner organizations in raising public awareness about the potentially life-threatening problems associated with illicit online pharmacies and counterfeit medications purchased through these illegal enterprises. We also highlight addiction support resources from these trusted organizations. We share resources from these entities to educate consumers, medical professionals and others about the importance of safe online pharmacies. EMD Serono, Inc., is a pharmaceutical manufacturer specializing in HIV-associated wasting, infertility and relapsing MS therapeutics. The Check My Meds app is a free tool available in English for iOS and Android mobile phones. It enables patients, caregivers and others to verify the authenticity of the serial numbers on most EMD Serono products. In addition to authentication of the EMD Serono medicine package, app users can also connect to support staff for questions about the medication, its appropriate use, and general information. This tool underscores the importance of incorporating technology into product security checks in the prescription drug supply chain. Check My Meds is available for free in the iTunes or Google Play stores. According to research conducted by the Partnership for Drug-Free Kids, one in four teens say they have taken a prescription medicine – that was not prescribed to them — at least once in their lifetime. This behavior cuts across geographic, racial, ethnic and socioeconomic boundaries. Two-thirds (66 percent) of teens who report abuse of prescription pain relievers are getting them from friends, family and acquaintances. View the fact sheet from the Partnership and The Medicine Abuse Project. Fight the Fakes is a campaign that aims to raise awareness about the dangers of fake medicines. The campaign gives a voice to those who have been personally impacted and shares the stories of those working to put a stop to this threat to public health. It seeks to build a global movement of organizations and individuals who will shine light on the negative impact that fake medicines have on people around the globe and to reduce the negative consequences on individuals worldwide. Fight the Fakes partners endorse the campaign and share the belief that coordination among all actors involved in the manufacturing and distribution of medicines is vital to tackle this public health threat. CSIP is a partner of Fight the Fakes. You have options when you are buying medicine online, but the safest way to purchase drugs online is through pharmacies accredited by the VIPPS or Vet-VIPPS programs. Choosing to buy your prescriptions from a trustworthy provider can help eliminate the risks associated with sites that fail to comply with federal and state laws and regulations. Protect yourself from rogue sites and select a VIPPS pharmacy for you and your family. 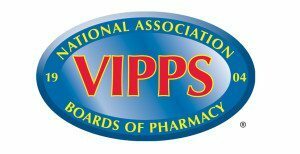 The VIPPS Online Pharmacy Directory is powered by The National Association of Boards of Pharmacy. Realizing that your teen or young adult child needs help for his or her substance use can be scary and overwhelming, and chances are you have no idea where to begin. There is no one-size-fits-all answer so it can take a fair amount of research to figure out what type of help your child needs, and how to get it. No matter where you are emotionally, mentally or physically, our collaborator, the Partnership for Drug Free Kids, can help. Open, honest conversations are some of the most powerful tools parents can use to connect with — and protect — their kids. But when tackling some of life’s tougher topics, especially those about drugs and alcohol, just figuring out what to say can be a challenge. The following scripts from the Partnership for Safe Medicines and the Medicine Safe Project will help you start the conversation with your child — and keep it going throughout his or her life. The following podcasts on the eHealth Radio Network feature representatives from the Center for Safe Internet Pharmacies (CSIP) and the Partnership for Drug-Free Kids (the Partnership) discussing aspects of MedicineSafe, the new coalition formed in 2018 to assist in the fight against the opioid epidemic in the United States. Podcast links will be added as they become available. May 9, 2018: Host Eric Michaels interviews CSIP CEO Marjorie Clifton on the opioid crisis and the MedicineSafe coalition. As cities and states across the country continue to search for practical, impactful solutions to prevent addiction and opioid-related overdose deaths, the Center for Safe Internet Pharmacies (CSIP) and Partnership for Drug-Free Kids announced the launch of MedicineSafe, a new coalition of national and state organizations working together to help save lives. 1 in 8 teens has reported getting high on over-the-counter cough medicine. This guide from the Partnership for Drug Free Kids will offer answers to many questions about cough medicine abuse, give helpful tips for preventing this and other types of drug abuse and provide resources for more information. Safely disposing of used sharps is important. Sharps that are not disposed of safely may cause injury. However, disposal rules and regulations vary across states and localities. Established in 2002, SafeNeedleDisposal.org helps people learn how to safely dispose of used sharps. The project is currently run by NeedyMeds.org, a CSIP partner. Get information for your state and other resources on safe needle disposal. CSIP and the Partnership for Drug-Free Kids. Tackling the crisis together. Tools and information about prescription drugs & fighting addiction. and from a safe source. SaveOnMyMeds.org is a free service provided by CSIP, in partnership with several health service organizations. Our drug pricing tools help people save money on medication at local pharmacies.